Effort: What's Behind that Number? In 1990, former General Electric CEO Jack Welch wrote a prophetic passage in the company’s annual report. “Our dream for the 1990’s is a boundaryless company…where we knock down the walls that separate us from each other on the inside.” However, large enterprises who have attempted to live by Welch’s dream remain hampered by set hierarchies: development teams and product owners exist on one level, business management and system engineers on another, while enterprise architects and portfolio managers reside atop the organizational food chain. Employing a top-down estimation approach to project management can help organizations overcome boundaries and satisfy the three V’s of corporate success – vision, value, and velocity. 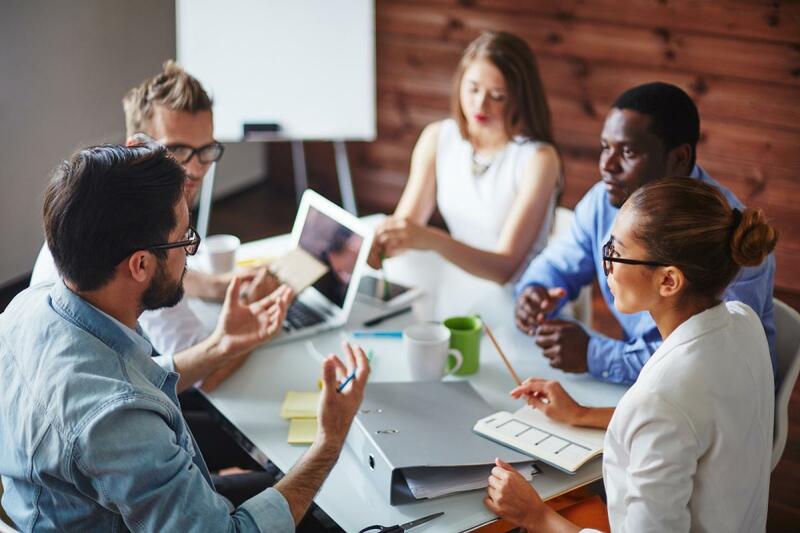 This article, originally published in ISV Insights, takes a closer look at how this approach can work for software companies, particularly larger organizations, to help them improve project management, team collaboration, and development practices. Large-scale IT infrastructure projects require an enormous amount of planning, design, configuration and testing to ensure that everything is working correctly and properly transitioned once the work is done. This takes time and resources. Like their software counterparts, IT infrastructure projects are more likely to be successful — more efficient, secure, and reliable — when accompanied by robust estimation and planning processes. 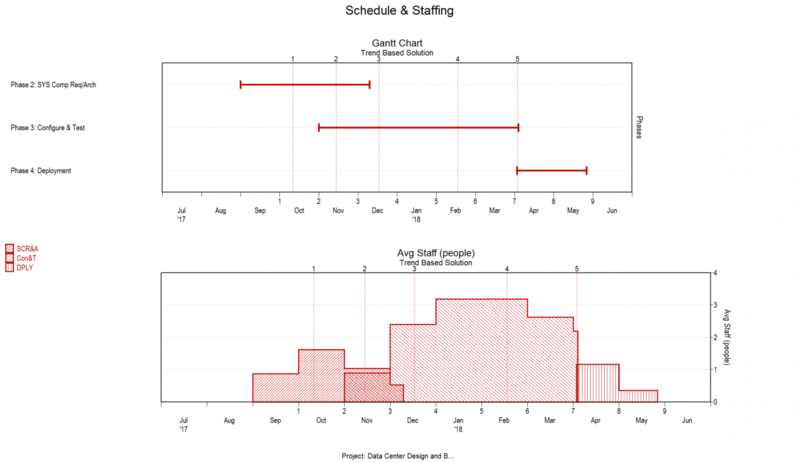 In this article for ProjectManagement.com, Larry Putnam, Jr. and Joe Madden identify best practices for applying parametric estimation to IT infrastructure projects. Despite the best efforts of federal agencies and the near constant media coverage of threats, most government cybersecurity initiatives remain reactive. Once a threat is detected, agency teams typically scramble to identify the source of the intrusion and take necessary steps to mitigate its impact. The nature of the business can make planning and, therefore, budgeting a seemingly impossible task. Unfortunately, federal IT security professionals’ and program managers’ hands are tied, thanks to limited budgets and time. They worry about the costs and schedules involved in proactively creating a compelling cybersecurity program. Beyond that, they traditionally have not had the necessary tools to develop accurate estimates of what it will take to create these programs. They have been left only able to make educated guesses that leave them stuck in reactive mode. Agency project managers need to be able to build and develop their cybersecurity systems just as they would a software project. They need accurate planning and estimation that will allow them to consider timeframes, appropriate staff, potential costs, quality, risk, and other key factors. 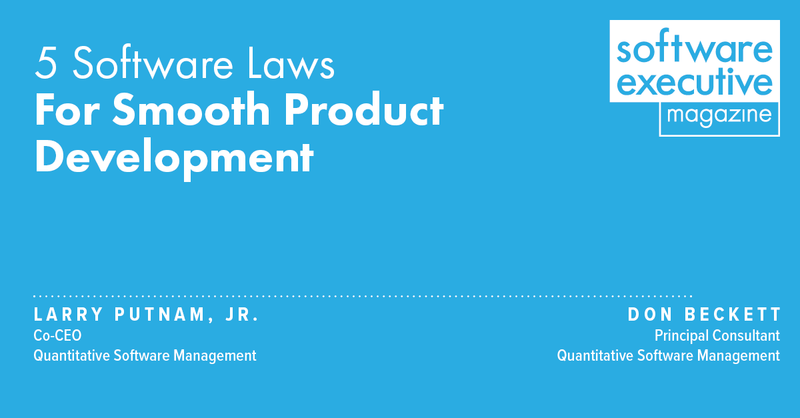 QSM's Larry Putnam, Jr. and Don Beckett recently published "5 Software Laws for Smooth Product Development" in Software Executive Magazine. Corporate executives are often removed from the daily ins and outs of software development and execution by necessity. Since their focus is on long-term projects and goals that will lead to profitability, they don't have time to be part of daily development meetings. Even so, executives should take steps to ensure they are firmly in the loop with software development projects, especially in the critical planning phases prior to project kickoff. 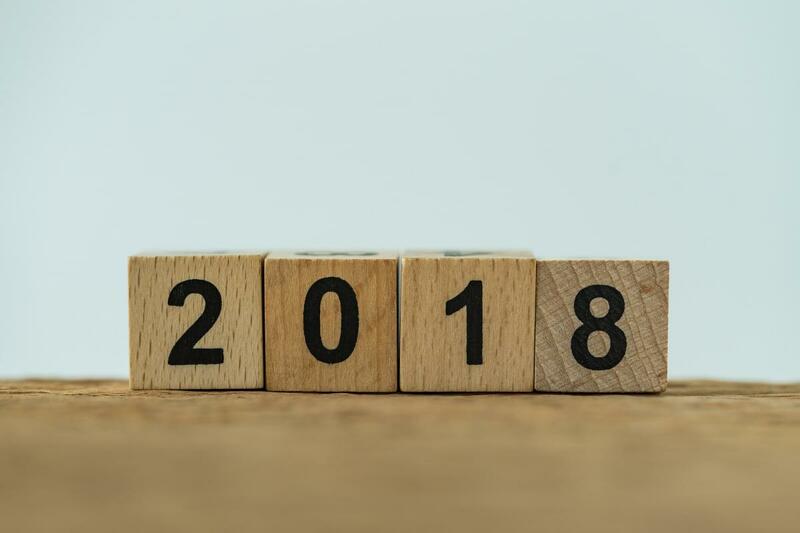 This article identifies five core software development laws software executives should be mindful of to ensure their organizations software projects stay on schedule and within budget. The QSM team had a productive trip to the Gartner Symposium in Orlando. It's always helpful for us to discuss IT current trends and challenges with the people in our industry. Many of these themes came to light as we provided SLIM-Suite product demonstrations along with question and answer sessions at the QSM exhibit. One of the big areas of interest at the conference was IT cost optimization, which is also one of QSM’s main areas of expertise. 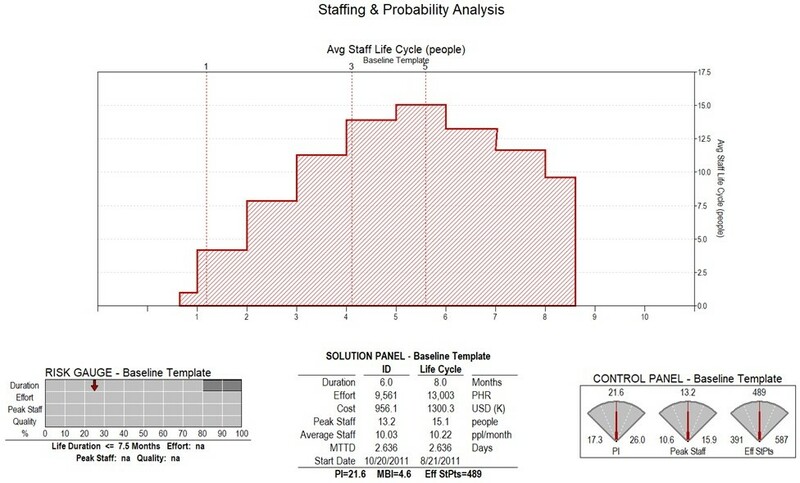 I hosted a presentation called “Cost Optimization Best Practices for IT Portfolio Budgeting.” The main focus of the presentation was to show how we can leverage empirically-based models and predictive analytics to balance enterprise demand with capacity and at the same time save big money in the IT budgeting process. The presentation was well-attended and a meet and greet session followed where our QSM team, consisting of Ethan Avery, Richard Pelaez, Greta Moen, and I, provided solution demonstrations and answered questions. Another big focus of the conference was related to cloud solutions and how they will affect the internet of things and artificial intelligence. Our team featured our cloud solution, SLIM-Collaborate, which provides portfolio analytics and the ability to estimate the cost and risk of creating new software technologies. We provided examples of how we support all types of software & systems projects and explained the benefits of having a secure process for leveraging this information across the enterprise. IT budgeting is anything but simple, so why do so many organizations do it in an overly simplistic way? Instead of relying upon detailed task-based spreadsheets and wild guesses, IT budgeting should be leveraging historical data and predictive modeling. This webinar will discuss the business process and application of estimation to the challenges of building the annual IT budget. Presented by QSM's Larry Putnam Jr. on October 11 at 11:00 AM EST, this upcoming ITMPI webinar will focus on how this process can support the following aspects of portfolio management: Pipeline - Demand Management, Risk Management, Resource Management, or Financial Management. Larry will demonstrate how a macro-level estimation process can leverage the very basic information typically available early in the development cycle to generate release level budgeting information. He will then show how to aggregate the releases to provide portfolio level assessment and adjustments that will conform to business level constraints. This webinar will be useful for anyone involved in or responsible for building the annual IT budget.